The Type Studio is a unique and innovative studio specializing in all aspects of typography and visual communications. Our services range from the technical to the aesthetic, and include Gourmet Typography workshops, training and seminars, webinars, typographic team-building and consulting, type-oriented graphic design, and copy writing. 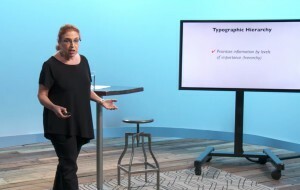 Ilene Strizver, founder of The Type Studio, brings with her more than 30 years of experience with type and design. Her work has received numerous awards and has garnered the highest recognition from the international type community. Ilene’s passion for typography and good design, as well as her single-minded dedication to excellence, contribute to making The Type Studio uniquely qualified to meet all of your typographic needs.